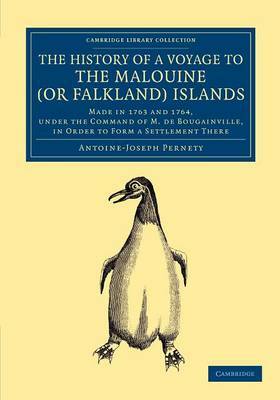 After the French and Indian War, in which France and England had fought over the control of North America, the French government decided to send an expedition to the Falkland Islands, or Isles Malouines, with a view to founding a colony where the Acadians expelled from Canada could settle. Under the command of Louis-Antoine de Bougainville (1729-1811), the 1763-4 expedition claimed these islands for France and established a base at Port Saint Louis. This work, translated from French and first published in English in 1771, is an illustrated account of this endeavour by Antoine-Joseph Pernety (1716-96), a naturalist and writer who took part in the expedition. Notably, it contains the first description of the geological phenomena of the stone runs on East Falkland. The latter part of the work is a compilation of letters and notes pertaining to subsequent voyages to Patagonia and the Straits of Magellan.